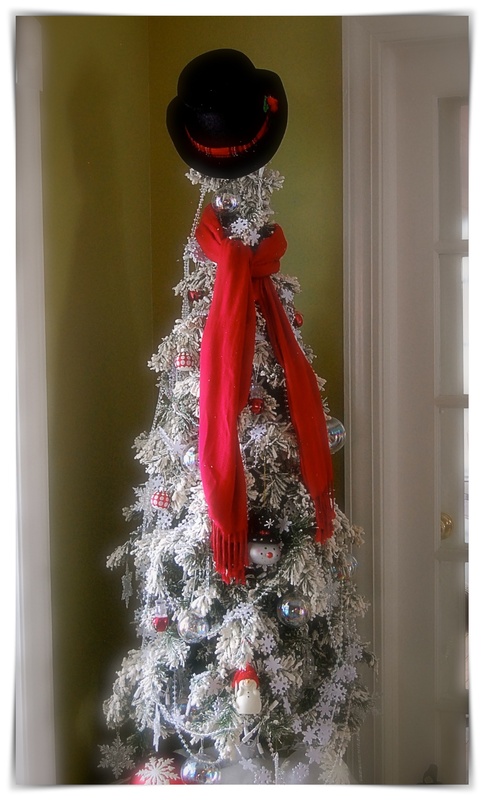 Many years ago I created a delightful tradition a quirky little snowman themed tree that is Michael’s favorite tree and is always tucked into a corner close to the dining table where, no matter how we try, becomes the centerpiece of our home. While it takes a bit of time and given my lack of height a perfect little flocked alpine tree graces the space and I now think that I am finally done for another Christmas and Frosty is shining brightly in his place of honor and hopefully will remain lit (all lights) throughout the Christmas season…this year several new/old ornaments of Christmas’ past nestled in with the newer older ornaments makes the tree merry and bright. Busy, busy days this time of year and with plenty to keep me busy I found some time for another warming bowl of soup and since I kept forgetting the asparagus three days in a row I snatched it out of the fridge, grabbed a couple of leeks and with an abundance of potatoes the soup became a reality in no time. Another successful NYT recipe slightly adapted. Serve with a Boston lettuce salad with a champagne pear dressing or toasted focaccia ham sandwiches. Melt the butter in a medium saucepan over low heat. Add the leek, celery and asparagus sauté until soft, about 5 minutes. Add the shallot and stir until soft toss in the potatoes, asparagus stalks, chicken broth and lemon rind. Raise heat and simmer until potatoes and asparagus are tender, about 15 minutes. Use a stick blender or blender to puree. Stir in salt and pepper. Keep warm. Fry the mushrooms in about a tablespoon of butter, drain on paper towels and crispy fry the potato cubes adding a bit more butter if necessary. Ladle the soup among 4 bowls. 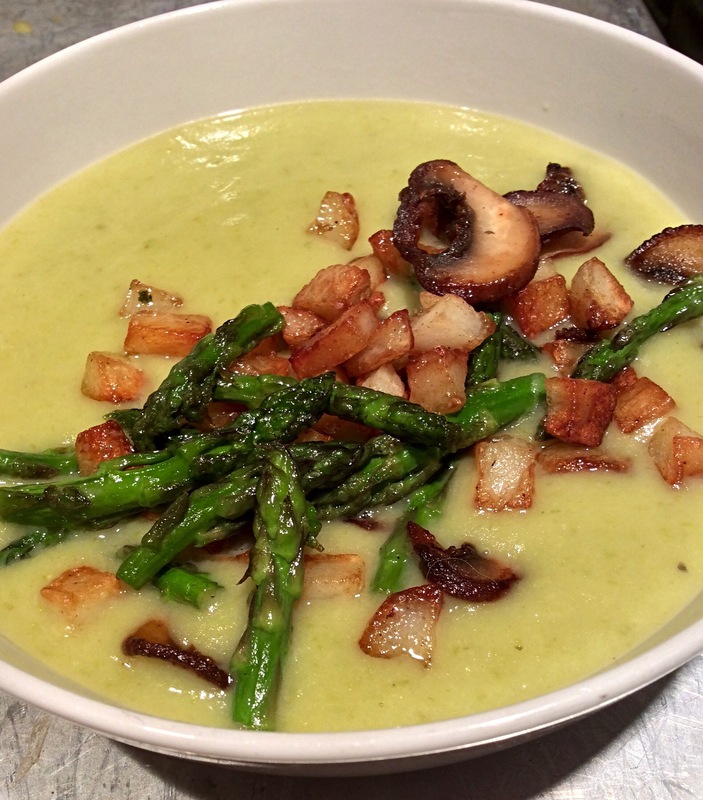 Garnish with asparagus tips and mushrooms. Serve immediately.